Well done to Maple class for winning the reading reward this week! 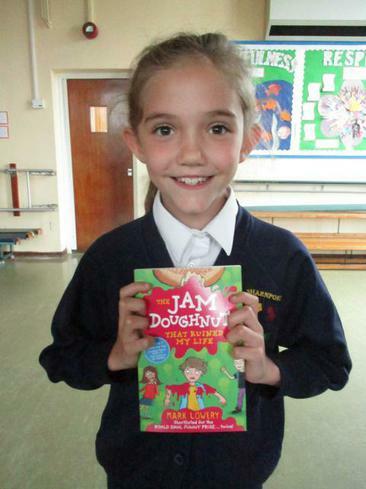 Bridget chose 'The Jam Doughnut that ruined my life' for their class library. What to wear for P.E. Egyptian Crowns - check out our designs! Frozen Kingdoms - Exploring with Jed. Alchemy Island Fountain of Gold! Sheep's heart dissection pictures - not for the squeamish! The New Extension - first day open!